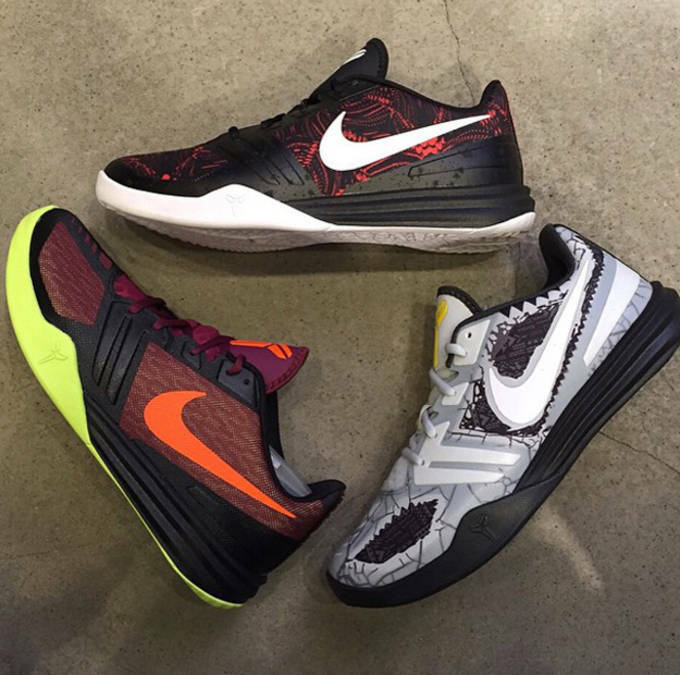 One of the great sneaker mysteries of 2014 was the Nike KB Mentality. Given the popularity of both Kobe Bryant&apos;s signature line and Venomenon series, it was a bit surprising to see Nike give Mamba a third sneaker collection. But, hey, stick with what works, right? The latest colorway of the mysterious sneaker to hit the web sees the upper take on a cracked pavement graphic, possibly cluing us into the sneaker&apos;s purpose. Like the Venomenon, perhaps the KB Mentality is designed for outdoor use on the blacktop. The sneaker&apos;s deep grooves on the outsole would further suggest this theory. If that is the case, perhaps Nike will officially roll out the KB Mentality this spring in time for outdoor hoops season. But then again, we don&apos;t really know what Nike is thinking with the KB Mentality. Check out the Nike KB Mentality "Cracked Pavement," along with some other colorways, below and keep it with Sneaker Report for any inkling of information provided by Nike towards the shoe. RELATED: Let&apos;s Take Another Look at the Possible Kobe X "All-Star Game"